The bible is upside down, with reversed roles. It is 'God' that is 'Satan' while the being known as Satan is actually 'God'. I mean, think about it. What crimes exactly did 'Satan' commit? I personally can't think of ONE single crime he's ever committed. He 'tempted' Eve? But persuading someone to one's point of view is no crime. What is that in comparison to ordering the mass death of millions, ordering rap.e, infanticide, genocide? Acts for which the bible 'God' has become famous? My guy. The devil is using yhu. Blasphemy. So yhur saying jesus was the son of satan? Jamey Maxwell: My guy. The devil is using yhu. Do you have any proof of the existence of a being known as ''Jesus''? I've searched, and I've seen no proof he ever existed. Red, sticky with cooked flesh floating, the bowl of peppersoup and cow meat was handed over to me. I had heard stories about this scary place, but never heard about the chef. The following was a conversation I had with him..
@Satan: We didn't get to hear your version. What really happened? Yes we are told that thee was a war in heaven. It is obvious that the good guys lost that war and the bad guys triumphed. Later they brought this war to earth. The serpent god, mankind's benefactor, has been trying to assist mankind in regaining his true heritage as a citizen of the stars, But Yahweh and his kind, the enemies of mankind, have always found ways to usurp mankind's endless quest for liberation and dignity. The book of Enoch tells us that it was the Fallen Angels, the ones deposed in a celestial coup de etat , that taught mankind the use of fire, how to mine and refine metals, how to heal with herbs, irrigation, even introduced certain grain hybrids that make up our staple diets today, how to map and follow the stars, and ofcourse, wisdom and philosophy. Is it any wonder why the book of Enoch never made it to the canonical bible? On the other hand, Yahweh is not credited with teaching or bequeathing any special knowledge of science, metallurgy , agriculture or medicine, I mean anything at all to mankind, except ofcourse, for wars and warcrafts. plaetton: Yes we are told that thee was a war in heaven. The book of Enoch tells us that it was the Fallen Angels, the ones deposed in a celestial coup de etat , that taught mankind the use of fire, how to mine and refine metals, how to heal with herbs, irrigation, even introduced certain grain hybrids that make up our staple diets today, and ofcourse, wisdom and philosophy. Oh, don't forget the science of blood sacrifice. The same science behind Holy Communion.. Cabin biscuits and zobo spiritually turns to Jesus' flesh and blood.. Christianity is just paganism with fewer gods.. He did, where do you think he got those figures from?! duhh! Jesus! Jesus! Jesus! Jesus! Jesus! Jesus! Jesus! Jesus! Jesus! Jesus! Jesus! Jesus! Jesus! Jesus! Jesus! Jesus! Jesus! Jesus! Jesus! Was really jobless that day..
EatmyShorts: I condemn you Satan!!! 1 Chronicles 21:1 Satan rose up against Israel and incited David to take a census of Israel. 2 So David said to Joab and the commanders of the troops, “Go and count the Israelites from Beersheba to Dan. Then report back to me so that I may know how many there are. 2 Samuel 24:1 Again the anger of the Lord was kindled against Israel, and He moved David against them, saying, Go, number Israel and Judah. 1 Chronicles 21:1 Satan [an adversary] stood up against Israel and stirred up David to number Israel. OP you might have a point. remember, most of the Early Pagan Gods where given the role of satan in chirstianity, so yeahh. The bible God might actually be Satan and vice versa. .
which Jesus, is it Benfica's fc coach? By god! OP, you are correct! No question about it. It's amazing I never thought of this. Makes perfect sense. The bible is a lie, it is merely symbolic of natural occurrences that were very important to the ancient people in Egypt and Mesopetamia. Watch Zeitgeist the beginning to learn some interesting facts about some of the stories in the bible and the new world order. Product of a functioning mind. The idea of god being evil is not new. Its actually a central belief of gnosticism and many other ancient religions. The idea is not even new to christianity. In fact, early Christians were split into several sects, many of which believed that the God of the old testament and creator of the world (whom they called the Demiurge) was actually pure evil. The largest of these sects, called the Marcionites, was actually big enough to rival the eventual mainstream Christians in size by the fourth century CE. Unfortunately, around that time, the emperor of Rome decided to join the other side and the Christians immediately started using their newfound political power to suppress all other rival faiths. The Christians devoted themselves to burning all the marcionite books and all the marcionite people they could find, and they eventually managed to completely wipe them out by the 6th century. If emperor Constantine had picked a different side, most Nairaland Christians would now believe what OP believes. That YHWH is evil. I admit Pagan Gods are a mixture of Good and evil to maintain the balance. That is the SUPREME TRUTH. and that is how it was meant to be. or else nothing would exist. Evil Brain: The idea of god being evil is not new. Its actually a central belief of gnosticism and many other ancient religions. The idea is not even new to christianity. In fact, early Christians were split into several sects, many of which believed that the God of the old testament and creator of the world (whom they called the Demiurge) was actually pure evil. On the other hand, Yahweh is not credited with teaching or bequeathing any special knowledge of science, metallurgy , agriculture or medicine, I mean anything at all to mankind, except of course, for wars and warcrafts. Very well written. 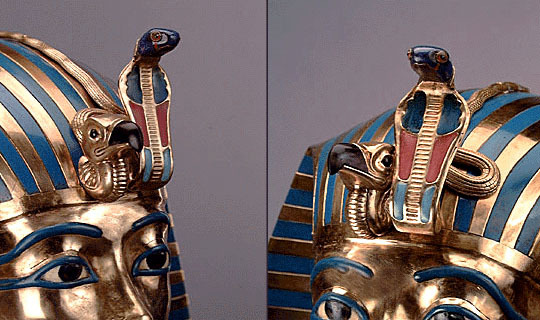 Ever noticed that many ancient civilizations held the 'serpent' in very high esteem, as a symbol of progress and knowledge? The serpent symbolism seems to have been representative of the DNA spiral, suggesting a human biological, filial link to 'the gods'. Ancient Sumerian Double Helix from where we inherited the modern symbol of medical practice. The bible is essentially a rip-off of the ancient Sumerian texts. Many parts of the bible are verbatim copies of the Sumerian Epic of Gilgamesh. In these Sumerian texts, which existed at least a thousand years before Genesis was written, Yahweh and Satan are basically presented as two brothers, the extraterrestrials Enki and Enlil. Enki was the director of the creation of man by virtue of permission granted him by Anu, the chief ruler of the Annunaki, and father of both. After Enlil threatened the new race (man) to obey him alone, Enki approached 'Eve' and told her to ignore Enlil, and 'eat of the fruit of life', so that she could gain intellect. She did, and gave Adam, who 'ate' as well. This enraged Enlil, who drove them out of 'Edin'. Enki provided them with clothes and food when they were thrown out. This is where the bible gets deceptive. In the bible they write that Yahweh did it all, ie put them in the garden, drove them out, and then clothed them and fed them when they'd been driven out. In the Sumerian epics, it was very different, as shown. The bible and koran are essentially Enlilian documents, brandished by Enlil's followers, painted to make Enlil the 'good God' and Enki 'the evil one'. Christianity, Judaism and Islam are Enlilian religions, with Enkian faiths largely relegated to the background, their followers having suffered historical defeats to Enlilian forces, and their faiths now dismissed as evil, savage, and retrogressive (eg African religion, Asian religion, European Celts etc). But if there's anything we've learned from human history it is that BOTH Enki and Enlil will have their respective periods of dominance. Question today is, how long has Enlil got before Enki strikes back to reclaim his inheritance? ?